“There are challenges in our relationship, there are challenges in our relationship with a number of countries at any given time, when you run an independent foreign policy,” she told legislators Wednesday. Other US allies including Australia and European countries have also blocked Huawei technology in their 5G networks. The New Zealand Herald reported on Tuesday that the launch, at Wellington’s Te Papa museum, of the 2019 China-New Zealand Year of Tourism had been postponed after a “change of schedule” on the Chinese side. It said an invitation to Ardern to visit China had been put on hold amid a diplomatic chill. But a spokesman for the Prime Minister, Andrew Campbell, said both sides were still “working through dates” for the visit and there had been a meeting recently to discuss timing. “It goes without saying there is probably some irritation in the relationship because of the GCSB’s decision regarding Huawei, but these are no different to the relationships which occur between any governments at any time,” he said. Campbell added that trade and tourism was continuing to grow between the two countries. Simon Bridges, leader of the opposition National Party, asked Ardern in Parliament if five government ministers were still waiting for China to approve visits. 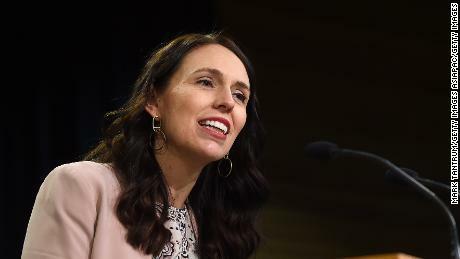 Ardern denied there was anything unusual about the wait, saying there had been multiple bilateral visits in the past year. New Zealand would be far from the first country to suffer a diplomatic chill in ties with Beijing following an unwelcome decision. Canada is embroiled in a dispute with China over the arrest in December of Huawei chief financial officer Meng Wanzhou at the request of the US, over potential Iran sanction violations. Australia saw its relationship with Beijing dip to new lows after the Chinese government took affront at laws designed to curb foreign influence which were proposed by the Australian government in December 2017.